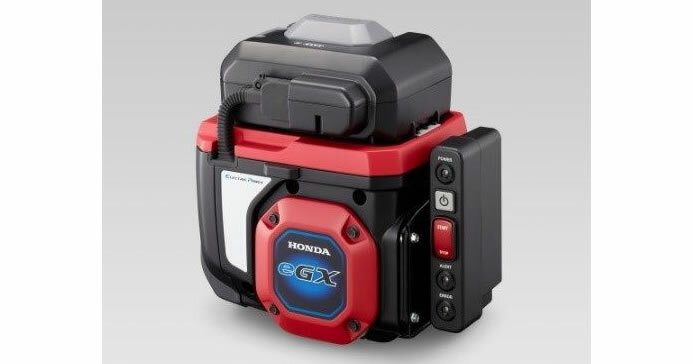 Honda will unveil the world premiere of the prototype of the eGX, an electrified power unit Honda is developing for commercial-grade work equipment, at bauma 2019, the world’s leading construction machinery trade fair.The Honda eGX is an advanced electrified power unit which accommodates the needs of the construction machinery market to enable their equipment to be more compatible with usage environments which are considered difficult for engine-powered machines, such as underground tunnels and nighttime construction work near residential areas. 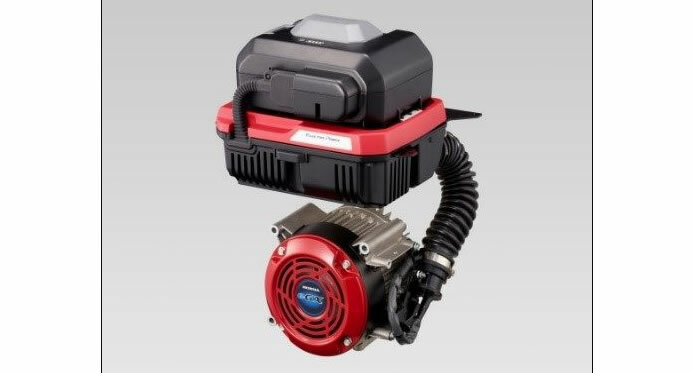 The motor for the eGX is equipped with a three-phase brushless DC motor, developed exclusively for this model, and realizes high-efficiency and high-power through outstanding insulation technology and winding technology for the alternator. The convenience and operational efficiency of the eGX were pursued through the adoption of a detachable lithium-ion battery pack. Honda is currently developing the eGX as an advanced zero-emission electrified power unit without compromising the high reliability and excellent installation compatibility of Honda’s GX Series general-purpose engines While utilizing know-how in the areas of durability and reliability amassed through the long history of developing the GX Series, Honda is pursuing the development of this particular eGX prototype on the basis of being installed to construction machineries with high vibration, such as a rammer and plate compactor. The Honda eGX prototype will be part of the exhibit of Honda Motor Europe Logistics, N.V., a Honda subsidiary in Europe (based in Ghent, Belgium).